Why don't the animals have larger enclosures? have any ideas or would like to sponsor your own enclosure please feel free to contact us. Do you go in the cages with the tigers? Why Don't you release the animals? 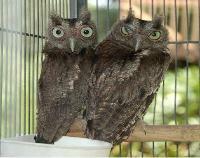 Baby Screech owls before release. 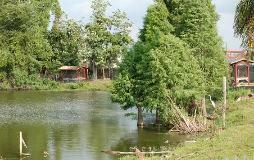 Copyright © 2007-08,Genesis Zoological Center Inc.
species that require permanent care. Do you have any positions open for employment? The center is run by volunteers only. We don't have the budget for paid employees. Where Do you receive your funding? state, or federal government agencies.